This week every where I turned I saw Dr. Seuss and his always entertaining sayings. 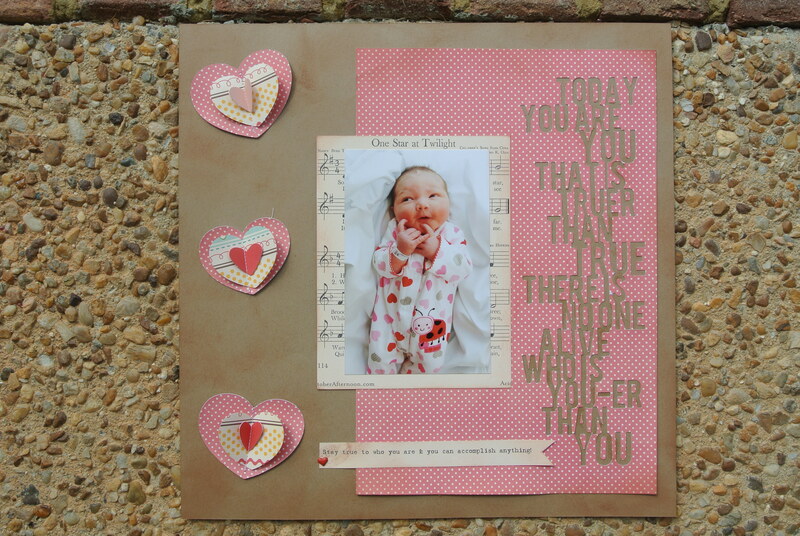 Studio Calico and October Afternoon both had challenges encouraging you to use them in your layouts. So when I was even faced with one while standing in line at the grocery store I knew it was time to get busy! A larger version of this photo hangs in Hartly’s room. It was taken in the hospital when she was just a few days old. And the look on her face just tickles me, because it portrays SO much of her little personality. In looking at this picture you can tell that she is going to be a character, and she has certainly lived up to that! 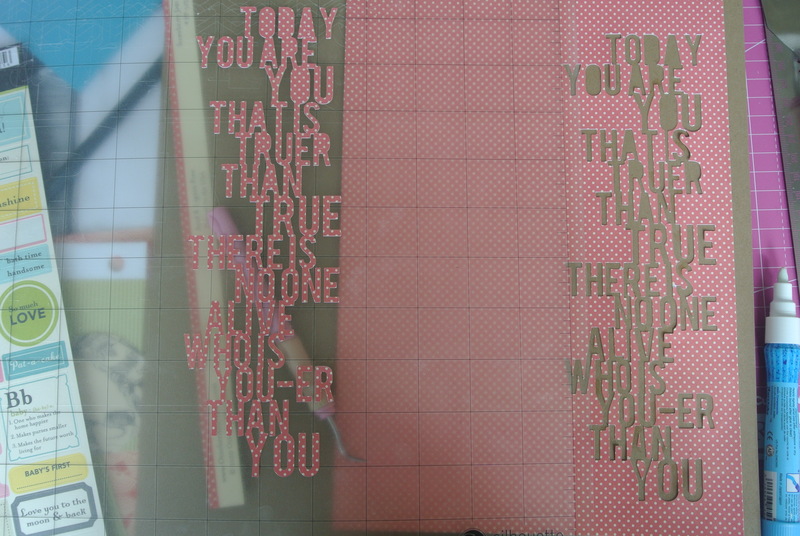 Luckily for me Kinsey over at the October Afternoon blog posted the Silhouette cut file for this quote. But of course, I have to be different. I chose to use the negative of the cut. You would think this would be SO easy; however, you tend to forget about all the o’s, a’s and other odds and ends that HAVE to be there for it to be legible. 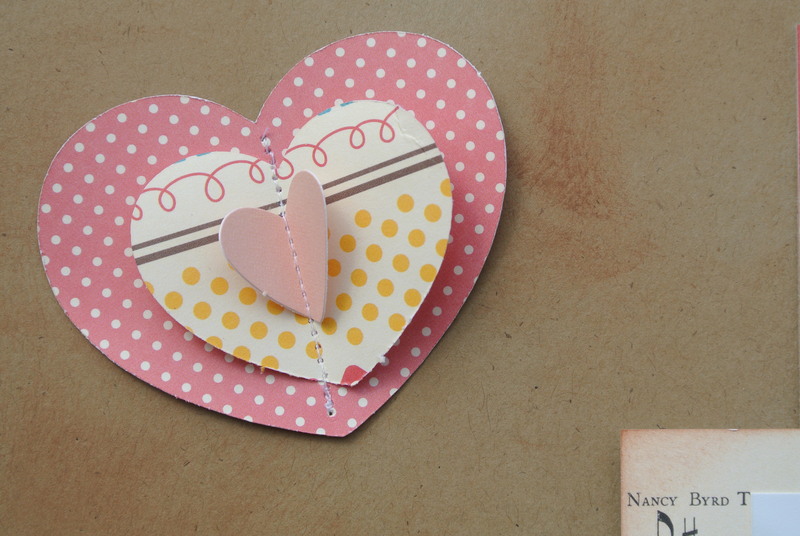 I stitched the hearts together and then used Tacky Tape to adhere them to the page. And I must admit that I’m a little proud of myself for accomplishing this. Aren’t they cute? I heart the little heart mini brads. And I think one of the greatest lessons I can teach my children is that they are all three capable of great things as long as they stay true to themselves. That is IF we survive the teenage years! I am totally and completely enraptured with this page – it defines perfection, hope, and darling-ness (okay – not a true word, but it should be). Amazing! 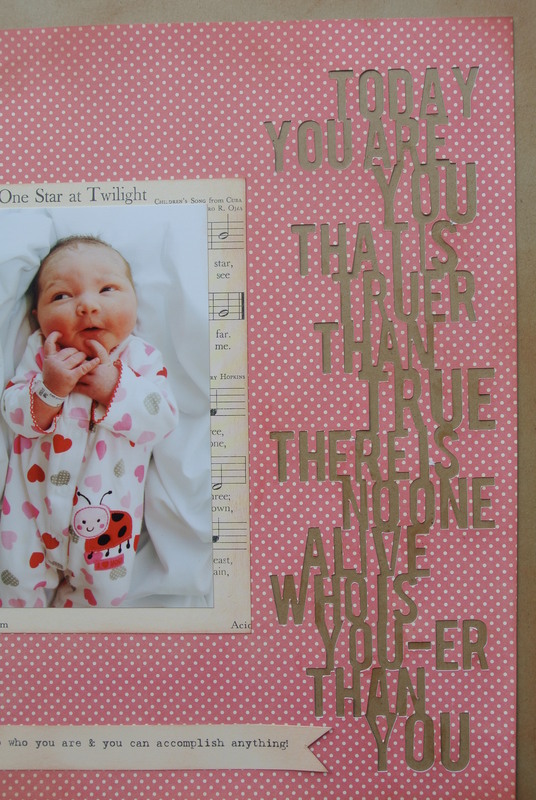 Love your photo and all of the details – and the Dr Seuss quote! Oh, Sara…you make the most perfect layouts!!! And, since you revealed early…I can reveal late WOO-HOO!!!!!!! This is a perfect layout! I love everything about it! Gorgeous! 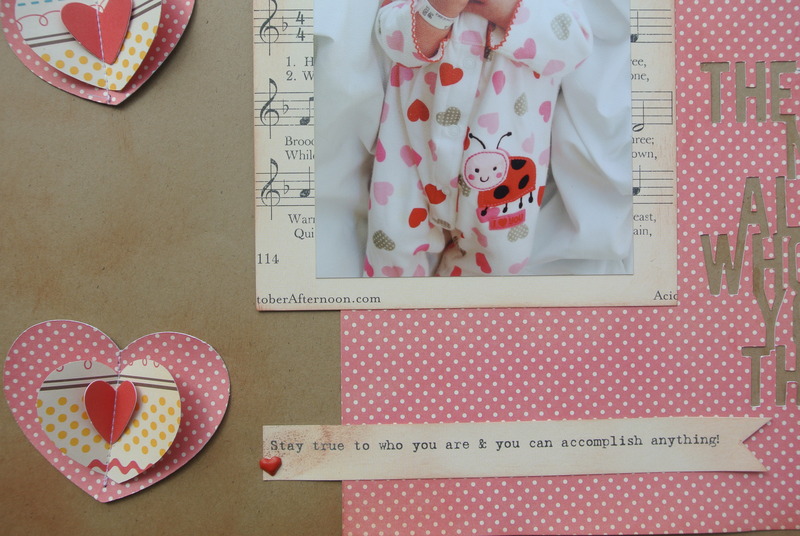 This is a gorgeous layout! One of my favorite phrases!